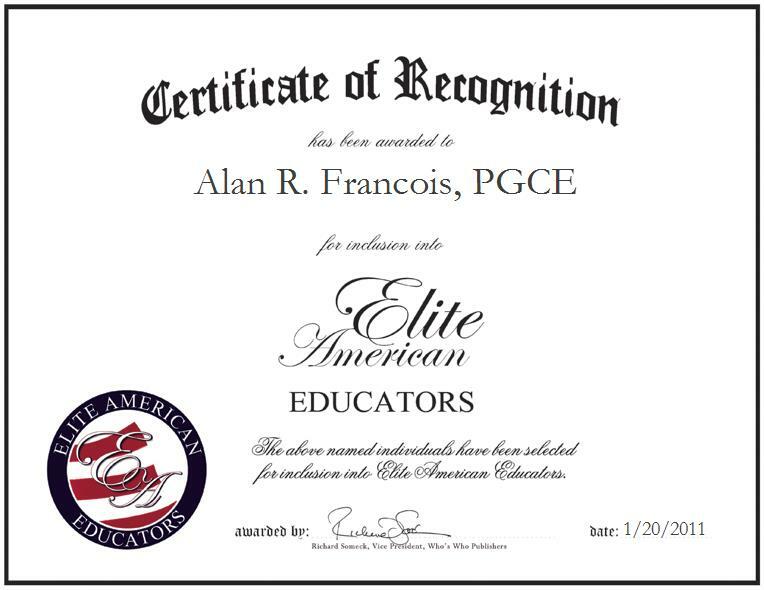 A resident of London, England, Alan Francois has been hand-selected by Elite American Educators for his impassioned and untiring dedication to the field of education for more than 26 years. As a tutor, he was responsible for providing supplemental instruction in the subjects of history, classical studies, ancient history, and English. By honing in on the individual needs of his students, Mr. Francois was able to assuage their frustrations and help to propel their educational successes. Likewise, his greatest accomplishments as an educator were derived from the achievements his students were able to attain after tutoring. An honors graduate of the London Metropolitan University, he holds a Bachelor of Arts in history and classical studies, and a postgraduate certificate in education.